Comunycarse is a company in full growth within the Software as a Service Market, developing custom platforms for cloud voice recording and other messaging interactions in the communications market for compliance and security, that helps mainly to Telco’s, banking and insurance institutions to comply with EU and International regulations. Over the past couple of years we have tripled sales and accomplished terrific progress, but there is still extraordinary growth potential ahead of us and an incredible number of new opportunities to be tackled. We have only scratched the surface on how we can apply our vision and technology to solve communication problems. Among other new cool product features, very soon we will be introducing BigData and Analytics technology, enabled by AI and Deep Neural Networks. 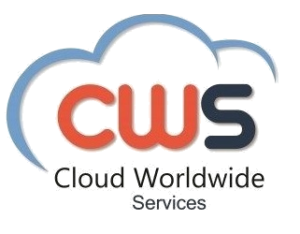 Based on the best and strongest cloud infrastructure available today, we pride ourselves in performing modern software development using state of the art tools and processes, constantly leveraging innovation and improving across all areas. Looking for a junior candidate without previous experience with engineer degree. You will spend most of your days with tasks related to monitoring the Cloud Infrastructure and Communications. You will get experience as system administration in Cloud systems (AWS, Azure or Google Cloud). Also you will be involved in security measures and procedures of ISO27000, ENS and other compliance. Learn how our technologies work and find ways to improve our workflow and processes. Communication and teamwork spirit: You need some personal permeability to allow you to receive help from your teammates to grow and promote best practices. Collaboration and flexibility. You will be working in a fast pace environment where these qualities are key to success. English skills are required: you need to communicate with clients and partners, read and generate documentation in English. Try state of the art technologies, to see if they fit our needs. We try new technologies and find out firstly if and secondly how and where can they improve our processes and products. Telecommunication’s Engineer or equivalent degree. Knowledge of VoIP, FOIP, protocols SIP, RTP, SRTP y RTCP. Some experience with cloud Infrastructure like AWS, Google Cloud, Azure and other OpenStack. Some similar experience in previous job. LAMPS and Web Server Management. Ability to see the output of your job and have a direct influence over the product decisions and processes to get it done. Get integrated in a multidisciplinary environment with (Infrastructures Engineers, Web and System Developers, AI specialists, data scientists, and QA engineers). Get into the world of unstructured data processing and learn about how big enterprises do it. 22 annual leave days, and all Fridays intensive working days. Annual Kickoff to realign our efforts and share time and experience with distance coworkers. Free coffee, tea, milk, biscuits and snacks. Free fruit on Monday and Wednesday. Corporate Kitchen with Dining room, refrigerator and microwaves. Offices beside M40 with very easy access and street parking.